Goodreads– Enter for a chance to win a signed copy. The book is about a character named Kimberly Wicker. She’s also known as Kimi Wicker. She works at a country western bar in Oregon. It has an interesting start being thrown into the supernatural elements rapidly in the first chapter with the introduction of vampires right away. These are introduced with a couple of strangers walking into her bar. The first of them ordered a water and nothing else. The second has an interesting mental exchange with Kimi in a telepathic almost exchange apparently imparting something to her. It’s hard to write an original concept these days and well to be honest this is certainly original. It combines several elements from different genres. I happened to enjoy it as I enjoy all the genres that were combined so for me this wasn’t a bad story at all. However others may not. It’s a bold and risky proposition anytime you combine multiple genre story arcs that usually aren’t found together. But in some cases like this one in my opinion it can turn out well done. Unlike many of the books on amazon there are next to no errors in grammar, formatting, and it’s a respectable length. Clearly the author takes pride in their work enough to do final clean ups and edits. This is refreshing. I suggest picking it up for yourself and deciding for yourself to be honest. A retired FEI competitor in dressage, she earned her United States Dressage Federation Bronze and Silver Medals. 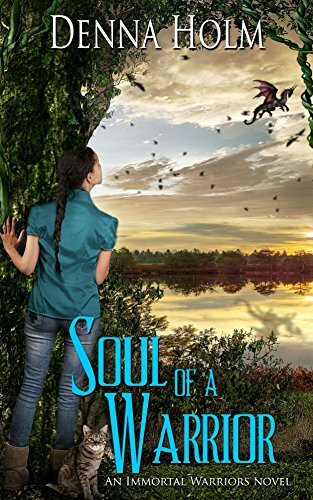 After Denna retired from training and showing horses, she decided to try her hand at writing novels in paranormal and science fiction romance. She used the unique personalities of her many wonderful students to help bring life to her characters. Denna and her husband Lee make their home in the beautiful State of Oregon with their two loyal German shepherds, one energetic border collie, and two very spoiled cats. Animals are given a special place in her novels, their offer of unconditional love a lifeline in this difficult world. Denna and Lee enjoy spending time camping and fishing with their children and grandchildren. Posted by Denna Holm on September 7, 2016 in Archives and tagged alien, Crimson Cloak Publishing, fantasy, fantasy romance, Horror, paranormal, paranormal romance, science fiction romance, shifters, vampire, werewolves.